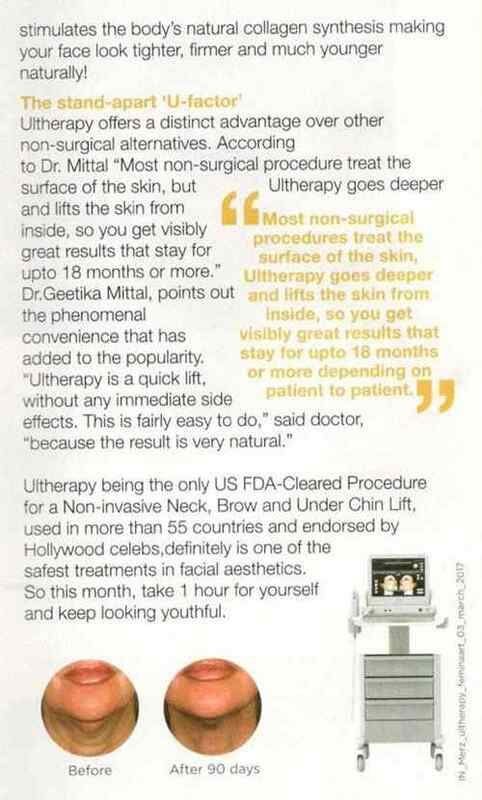 Ultherapy is a non surgical procedure which helps in reducing wrinkles from the face, neck and chest. It uses ultrasound and the body’s healing process to lift, tighten and tone up the loose skin. 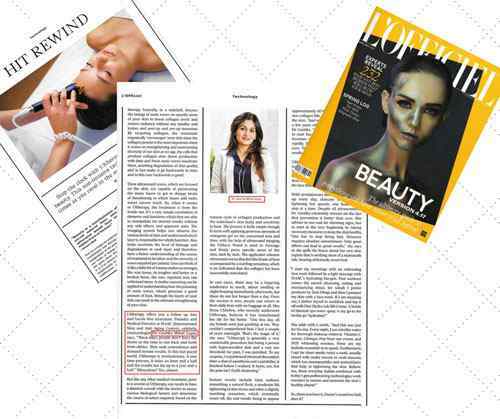 The procedure is safe, tested and it uses ultrasound to stimulate the layers of the skin. The best part about Ultherapy is that, it uses the regenerative response of the body, and the skin is lifted gently and gradually. At ISAAC, we use Ultherapy to do this treatment, which uses non invasive technology for the same. No foreign substance or radical change in the treatment process. The process is natural and you get to see healthy noticeably younger skin in no time. The procedure is of around 60 minutes, and you can get back to your normal lifestyle soon after the treatment. 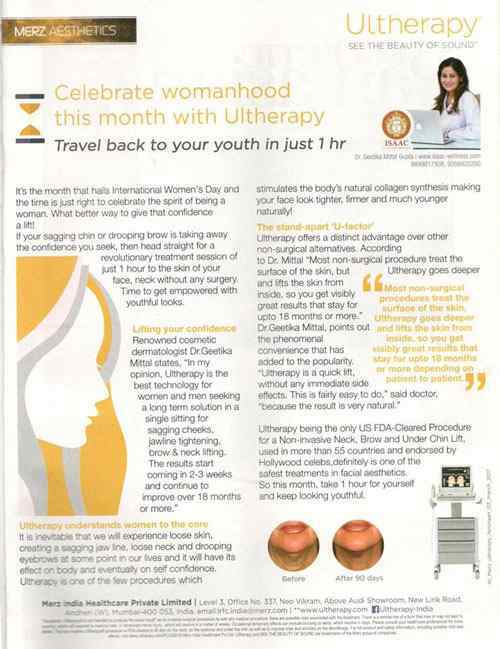 There is no preparation needed when you are getting the Ultherapy treatment done. You can take an OTC medication if needed, depending upon your skin and health condition. An ultrasound gel is applied on the skin and a smooth hand piece is placed on the skin; in order to let the energy bypass that hand piece. The ultrasound rays stimulate collagen growth, which uplifts the skin. The comfort level will depend on the skin condition and the area treated as well. After the treatment, the skin might look flushed, but that goes in a few hours, and you get to see the amazing results of Ultherapy. At ISAAC LUXE, we check the skin condition, and suggest you the treatment as per your requirement. 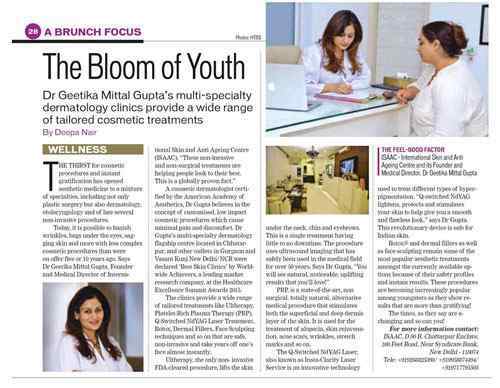 We also provide you the right consultation and guidance so that you can recover from the after effects faster.